With the deaths of several teenagers across the country suspected to be linked to the Blue Whale Suicide challenge, parents across the country are now planning to organise mass awareness campaigns, actually it is not required if you start it from your home. The 16-year-old Jodhpur girl, who was on Monday rescued after she jumped into Kaylana Lake here to complete the last task of the Blue Whale challenge reportedly made another attempt to claim her life by swallowing sleeping pills on Wednesday. It is said that the girl feared that if she did not complete the last task her mother will be killed so she swallowed all kinds of pills, including sleeping spills, she found in the house. According to doctors, the girl is suffering from severe depression and is completely stuck in the Blue Whale game. Her treating doctor, Dr KR Dashiki said the girl was also counselled regarding the effect of the Blue Whale game on her mind. “A psychiatrist will be called to give her proper counselling. She accepted her mistake and said that she now regrets what she did and advised children to stay away from this deadly game,” Dr Daukia said. On Monday night, the girl, daughter of retired havaldar from BSF Mandor, attempted to commit suicide by jumping into the Kaylana lake but was fortunately saved by boat driver Om Prakash. Even at that time she was pleading to be allowed to die as she feared that her mother will be killed. 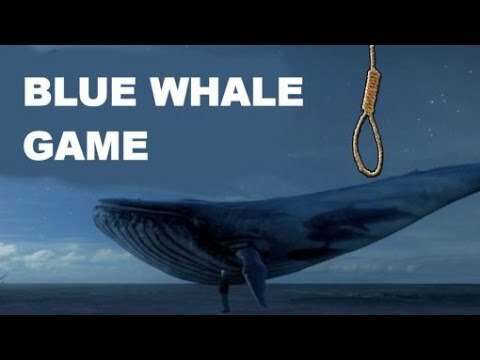 So What Exactly is Blue Whale Game? The Blue Whale Challenge, as it is called on social media, has already been flagged by companies and many international governments, but this has now spread to India too. If you’re watching your child’s online activities, look out for keywords like “F57” or “F58”, “Quiet House”, “The Silent House”, “Wake me up at 4:20 am”, The Sea of Whales and of course, Blue Whale Challenge. All of these could appear in hashtagged form as well. All of these seem to refer to various tasks within the game. For instance, players near the end of the 50-day term, users are directed to wake up at 4:20 am every day and perform certain activities. The goal, presumably is to deprive them of sleep, and hence deter proper brain activity. While the game began in Russia, the Blue Whale Challenge is well within the Facebook, Twitter and Instagram networks now, although the “death groups” haven’t been spotted on these platforms yet. While Twitter searches are currently flooded by news reports and retweets, both Facebook and Instagram do show horrific photos of those who took the challenge. 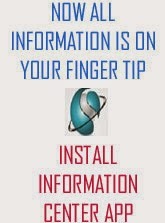 Also, both these social networks warn you against suicide, trying to redirect you towards suicide helplines. The perpetrator of the game, Philip Budeikin, had been jailed last month, but the challenge seems well underway still. A Vkontakte search for Russian hashtags relating to the game still show selfies posted by teenagers, with mentions of the game. There are also strange audio files attached to some images, although the groups themselves are quite difficult to find. The haunting internet game requires teens to complete 50 increasingly terrifying challenges over the course of 50 days, culminating in the request that the player commit suicide. Beverly Hills psychiatrist Carole Lieberman, M.D., spoke about why teens are participating in this horrifying game and how parents can put a stop to it. So What is Your Role as a Parent it? The psychiatrist said that the minds behind the game are using specific psychological techniques to make their players as vulnerable as possible. “The administrators use sophisticated psychological strategies to get control over these teens’ minds,” she said. “First, they choose their victims on the internet from social media groups, selecting the most vulnerable teens and creating a sense that those who are chosen are special. Then they keep them hooked for 50 days before giving them the task of committing suicide.